Balls. 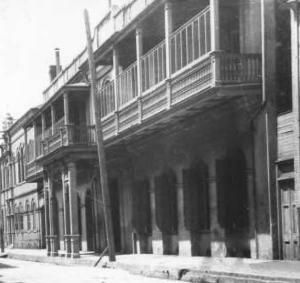 The photo at the top is of the building as it appears today, now the Bourbon Orleans Hotel. locals as New Orleans' most haunted hotel. opulent dining and gaming rooms that equaled the best in Europe. agree to support her for life. language and carried on French customs, as did their children after them. Madame John, of Madame John's Legacy. gentlemen used to promenade. Down there, on the banquette, the beaux used to fight duels." 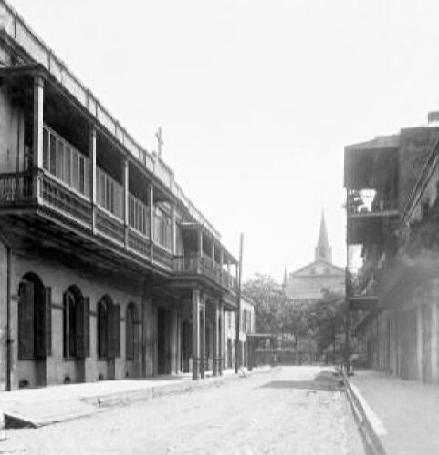 On the left, the convent, with former promenading balcony above, dueling banquette below, bet.1910-20. on Orleans Street, abt. 1905; from a book published in 1917.
that had once housed the Orleans Ballroom. little is known. They concealed their past, with their features, under the veil or their order. providentially directed as in this institution. 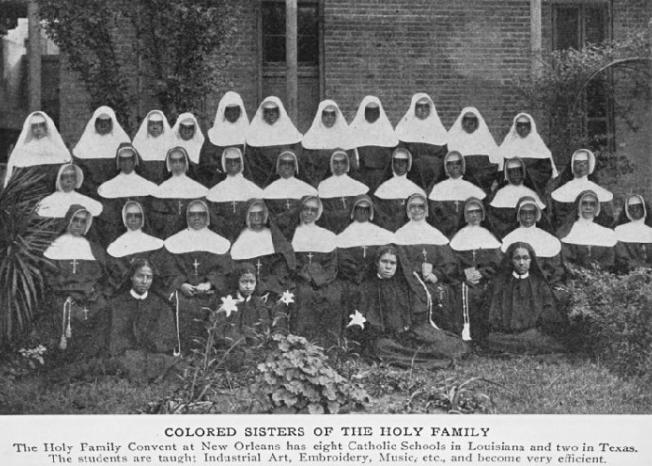 the sisters acquired the land and constructed an orphan asylum and a public chapel. those of the Catholic faith to do more. The body had not yet been transported to the chapel. were servants, beggars, sisters, orphans and ladies of the community; people of all races." rear of the old ballroom building during renovation. used by guests for various functions. has been seen waltzing under the chandelier. historic old building with an already intriguing and unique past.